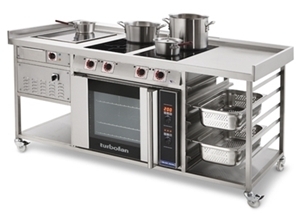 A properly equipped kitchen is vital to the success of any food business. If you are in the industry, a trip to the Commercial Kitchen show in Birmingham could take your kitchen to the next level. Commercial Kitchen is the ultimate kitchen equipment, service, and design show. Whether you’re looking to open a new commercial kitchen, need a total remodel, or are just interested in possibly upgrading that convection oven that is older than Boris Johnson, you’ll be glad you came to the Commercial Kitchen Show. The 2018 show will be taking place at the National Exhibition Centre in Birmingham. The Centre is located at North Ave, Marston Green, Birmingham B40 1NT, UK. It is near junction 6 of M42 motorway, adjacent to Birmingham airport. The show will be held over a two day period, the 5th and 6th of June. The event hours for Tuesday are 10:00-17:00 and wednesday will be 10:00-16:30. If you are coming from a distance there are a number of hotels located nearby that are offering special discounts to those attending the event. On the shows website under the useful info tab you will find a link to travel & accommodations where you can find out how to receive this special discounts. 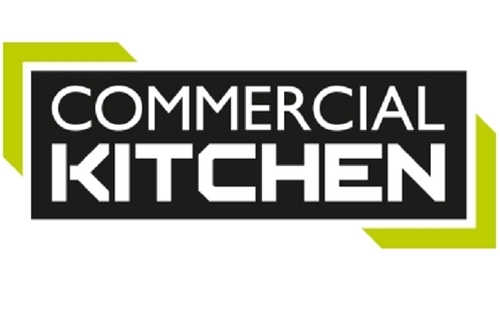 The Commercial Kitchen website has a very concise summary of the show, saying it “is the UK’s only dedicated event for catering equipment buyers. 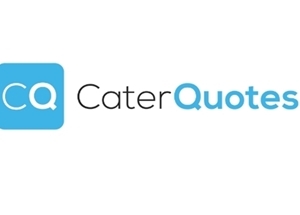 Whether you’re a decision maker from a chain or independent pub or restaurant, a food-to-go multiple or a hotel, to a school, hospital or care home – you can see and compare the latest equipment at the UK’s only show dedicated to the running of effective, profitable kitchens”. Admission to this trade show is free if you book ahead, which you can do at commercialkitchenshow.co.uk. If you decide not to pre-register an entry charge of £20 will apply at the door. This show is a trade only event and will not be open to the general public. You may be required to show proof of trade status, so come prepared. The Commercial Kitchen Show has an unbelievable amount of exhibitors this year. 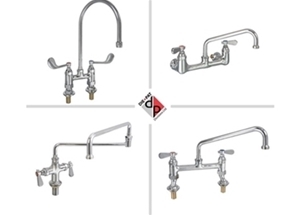 Great companies like Die Pat Divisions Ltd. who make “specialized catering equipment hardware and plumbing components for the food service industry”. Some other great companies who will be at the show this year are Adande Refrigeration Ltd, Aqua Cure Ltd, CCE Group Ltd, Creative Cuisine, HALLDE, Hospital Catering Association, Reco Air, and many more. Even if you do not plan on buying anything for your kitchen, the seminars and speakers at the Commercial Kitchen Show will still make coming worthwhile. A number of different panels will be held over the two days covering all kinds of important topics in the industry today. The first panel will appropriately be about the all important Pub kitchen. Other panels will be about topics such as pizza restaurants, the executive chef position, hospital kitchens, and even how to make a kitchen more sustainable. Along with the fantastic panels and seminars will be a number of insightful speakers. The CEO of Burger King Alasdair Murdoch, along with Kate Nicholls, CEO of The ALMR, Jake Sharkey, owner of Vision Commercial Kitchen, and Ben Ternent, Executive Chef are just a few of the many amazing speakers you can see at this years show. This show simply will not disappoint, past visitors have said “It’s an excellent coming together of the industry to demonstrate the latest equipment, services and innovation. Coupled with great presentations and debating panels, it is very much a must visit”. And exhibitors saying “Commercial Kitchen is really important to us and we wouldn’t miss it. It targets exactly the right specifiers, buyers and operators that we want. We’re very happy to support our industry show as it continues to grow, and have already rebooked for next year”. The Commercial Kitchen Show is truly the ultimate kitchen equipment, services, and design show. From the countless exhibitors to the speakers and panels, there will be more to do than you'll even have time for. If you want to improve the quality and effectiveness of your kitchen and staff, this show is the place to be. Be sure to make it to the Commercial Kitchen show in Birmingham, 5th and 6th of June, 2018.